Athens, Ga. – The editorial offices of Landscape Journal have moved to the University of Georgia’s College of Environment and Design. Landscape Journal is the official journal of the Council of Educators in Landscape Architecture and has been in publication for more than 25 years. The move was effective Jan. 1. 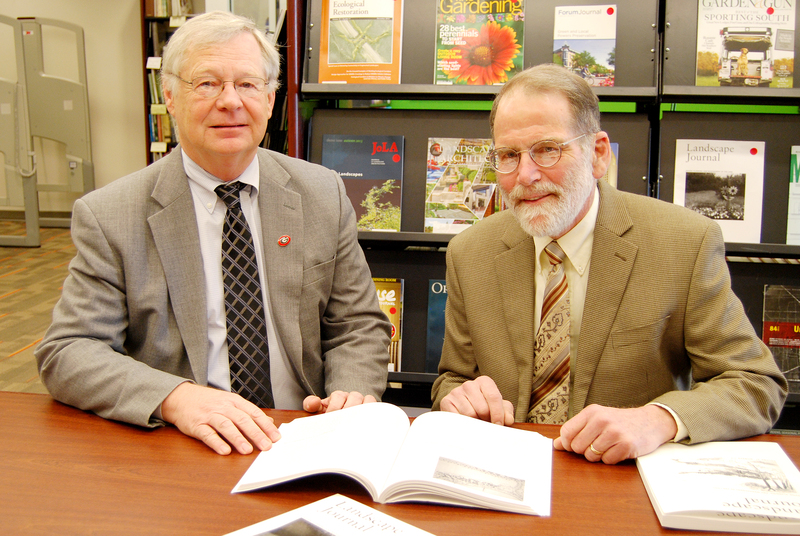 Daniel Nadenicek, dean of the College of Environment and Design, and David Pitt, a professor at the University of Minnesota, will serve as co-editors of the journal. Ashley Steffens, an associate professor in the environment and design college, will serve as the journal’s managing editor and oversee layout. Graduate students in the college will assist with copy editing. The University of Wisconsin Press will continue to publish the journal. The Council of Educators in Landscape Architecture was considering a venue shift for the journal, and “due to the college’s longstanding success and high rankings in the field of landscape architecture, the council chose to move the editorial offices to UGA,” said Nadenicek. “We are honored to have this prestigious journal come to the University of Georgia’s College of Environment and Design and are appreciative of the faith that CELA has put in us and our staff,” he said. The Council of Educators in Landscape Architecture provides the primary financial support of Landscape Journal’s editorial office at UGA, with additional support from the College of Environment and Design, the Office of the Vice President for Research at UGA and the Wormsloe Foundation. Landscape Journal offers in-depth exploration of ideas and challenges that are central to contemporary landscape design, planning and teaching. In addition to scholarly features, Landscape Journal includes editorial columns and creative works, book reviews and coverage of conferences, technology and exhibitions. Landscape Journal scholarship is interdisciplinary and consists of professional articles by landscape architects, planners, ecologists, geographers, artists, architects, historians and others, both in the U.S. and abroad. Articles from past issues of Landscape Journal can be found online at: lj.uwpress.org.